This district map depicts the current layout of the Middle Tennessee Council's districts as of 2019. It has been unchanged for several years with the last changes coming in 2005. 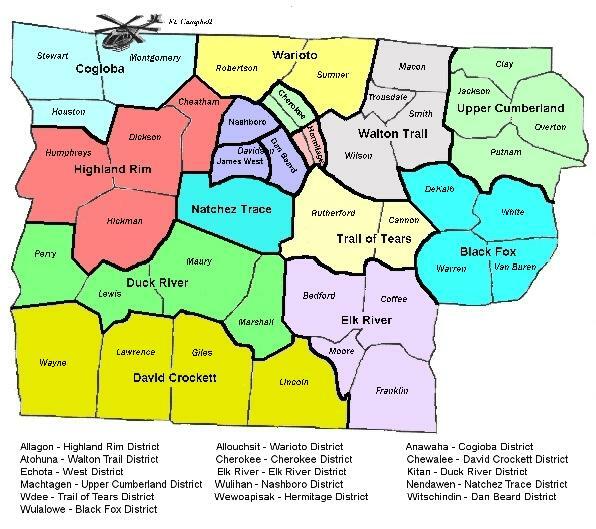 Buffalo River District, which had been in existence since 1956 was disbanded in 2005 and David Crockett, Duck River, Highland Rim, and Cogioba Districts were all enlarged in the process. 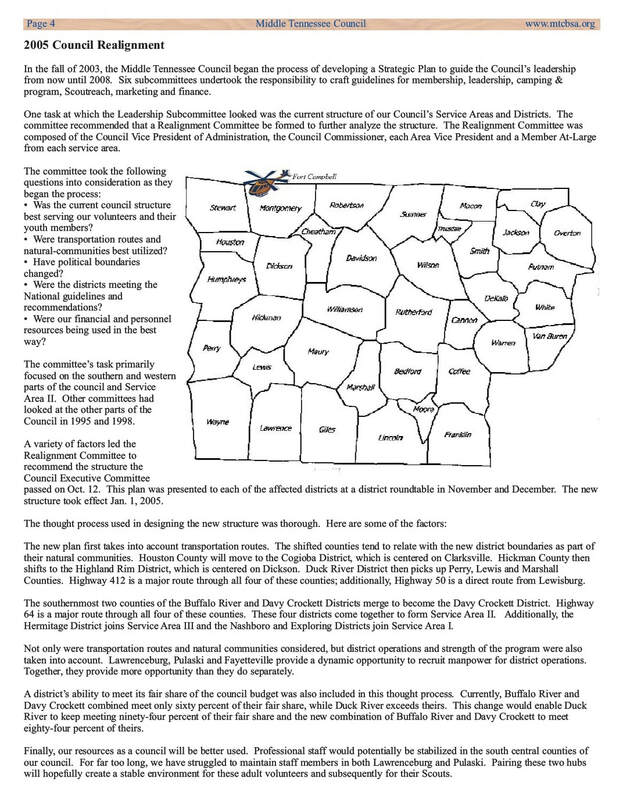 See the article from the January 2005 Jet Trails below regarding the change.